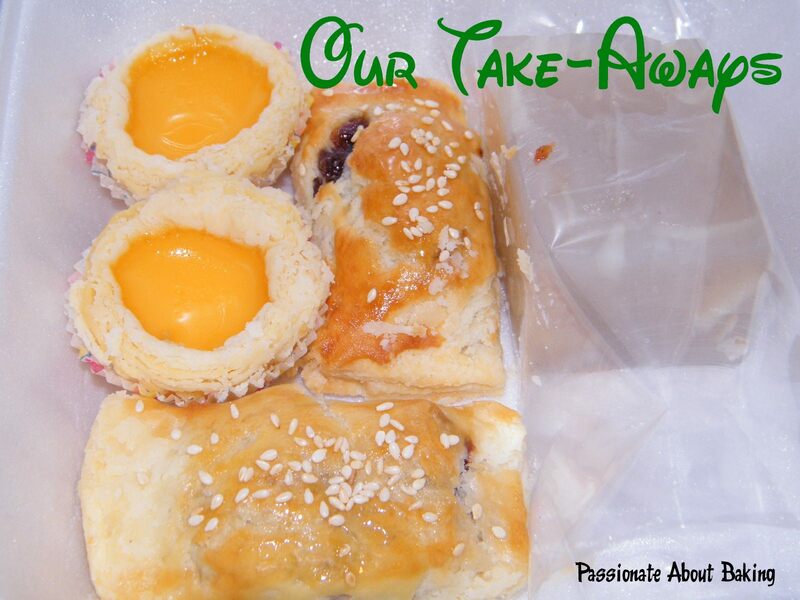 Last week, my colleague bought a recipe book from the Fairprice near our work place. I browsed through the recipe book and found the foods to be rather interesting. 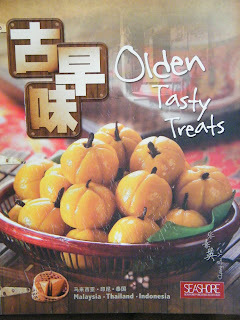 It's call "Olden Tasty Treats" published by Seashore Publishing (M). It's a collection of recipes from Malaysia, Indonesia and Thailand. 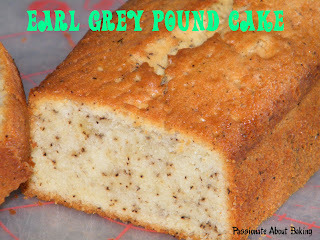 As I flipped through the book today, I decided to try the easiest possible recipe. As I haven't been baking for the whole week, I decided to do some baking. The past week was a bit crazy. I was sick, then followed by my organisation's anniversary dinner. There were just too many activities in the day which tired me out by evening time. 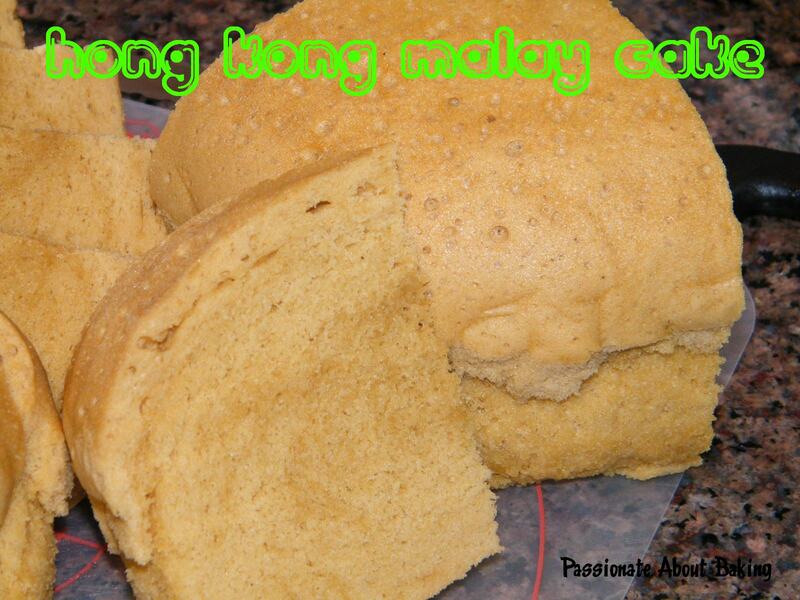 Anyway, I decided on Hong Kong Malay Cake from the recipe book. I was rather surprised that proving is required. After steaming, the cake turns out rather high and well. However, when I cut through the cake, the centre part wasn't too cooked. The skewer didn't show when I inserted it. I was rather disappointed because the top and sides looked so nice. I think maybe a further 10mins is required. Even though centre wasn't cook, the texture was rather good. It also wasn't too sweet as I've reduced the sugar. 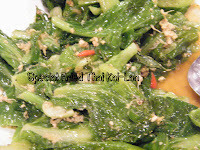 In case you would like to try, I'm sharing the recipe extracted from the book. 1. 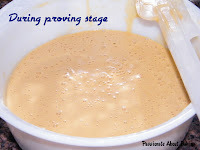 Beat eggs, add in brown sugar gradually and beat mixture until it thickens. 5. 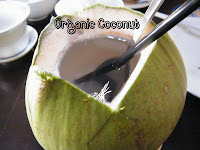 Pour the mixture into a bamboo steamer lined with paper and oil at the base. 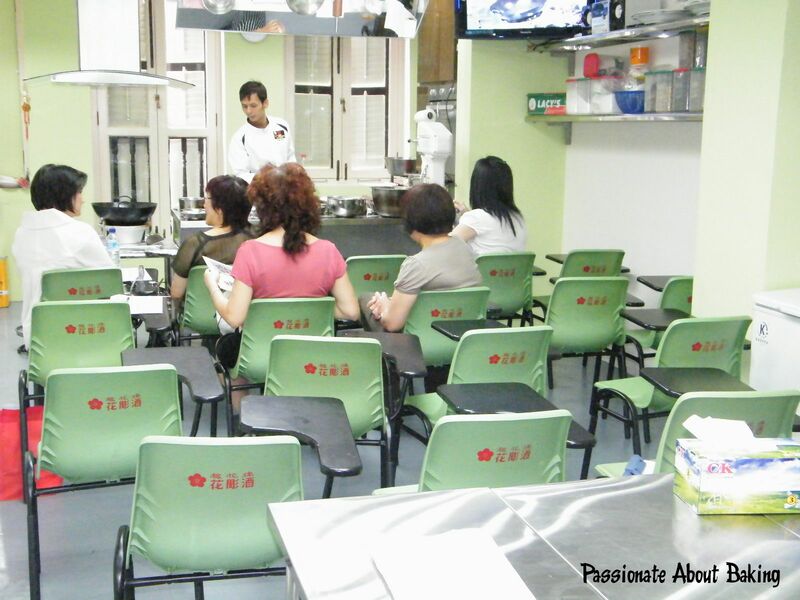 The programme: Demonstration on Flaky Egg Tart, Water Chestnut Kueh & Char Siew Sow. 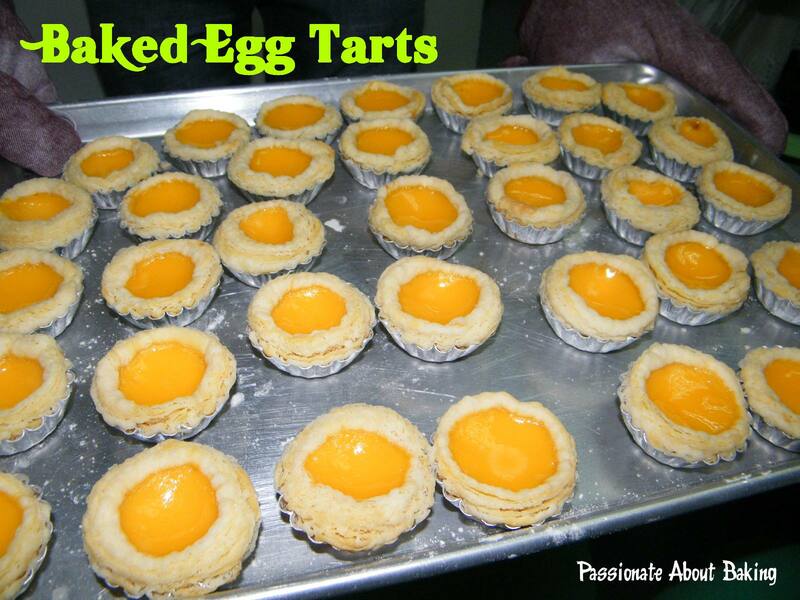 A couple of weeks ago, Doris asked if I'll be interested in learning flaky egg tarts. 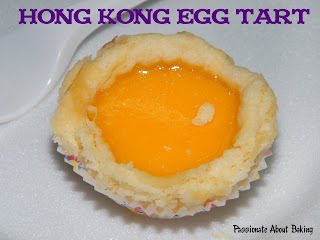 She said the flaky egg tart from this cooking school is really good. Actually, I'm not much of a “cooking” person, however, I like egg tarts and so do my eldest boy. She also added that there will be Char Siew Sow and Water Chestnut Kueh demo included. 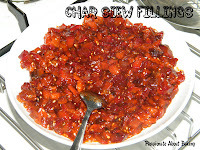 Hmm...Char Siew Sow was also my son's favourite! With that, she managed to convince me to sign up for this workshop. The day came. I made my way to Chinatown. The studio wasn't that easy to find. 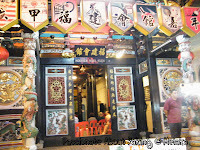 It was located on the second floor of those Chinatown shophouse building. It is opposite the Chinatown Market. It wasn't a very big place, however, it was roomy enough to accommodate 14 of us. Unfortunately, my dear friend, Doris was ill and couldn't make it to this long-awaited workshop. Through Doris, I have made some acquaintances with her other baking friends, and they were also present for this workshop. 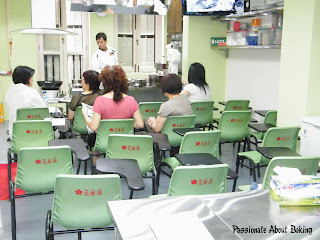 Chef Soon was the instructor for this tim sum workshop. 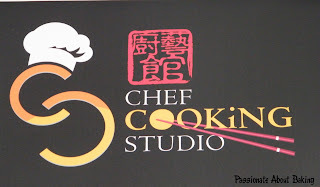 Together with Chef Keong, they were previously teaching at Creative Culinaire. 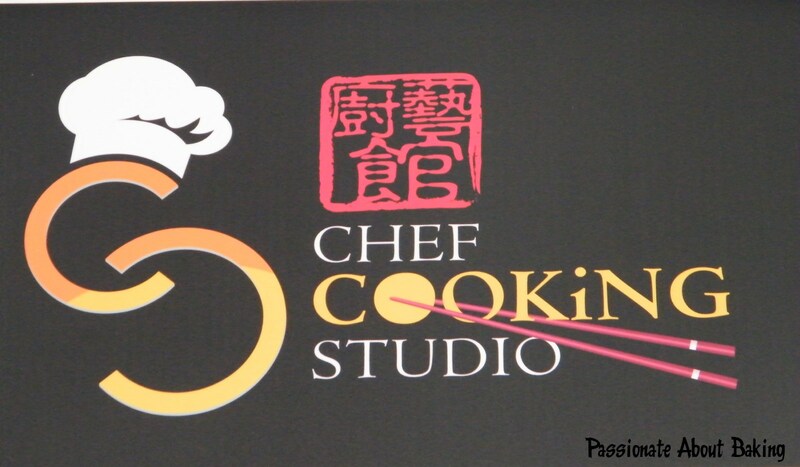 Both Chefs are very friendly and humble. 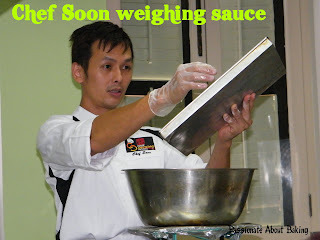 Chef Soon shared his experience and the know-how without reserves. We started with the marking of Water Chestnut Kueh. He taught us how to cook the flour and mix them so that the water chestnuts do not all sink to the bottom of the tray when steaming. We tried the kueh in cold, like dessert and pan-fried hot. 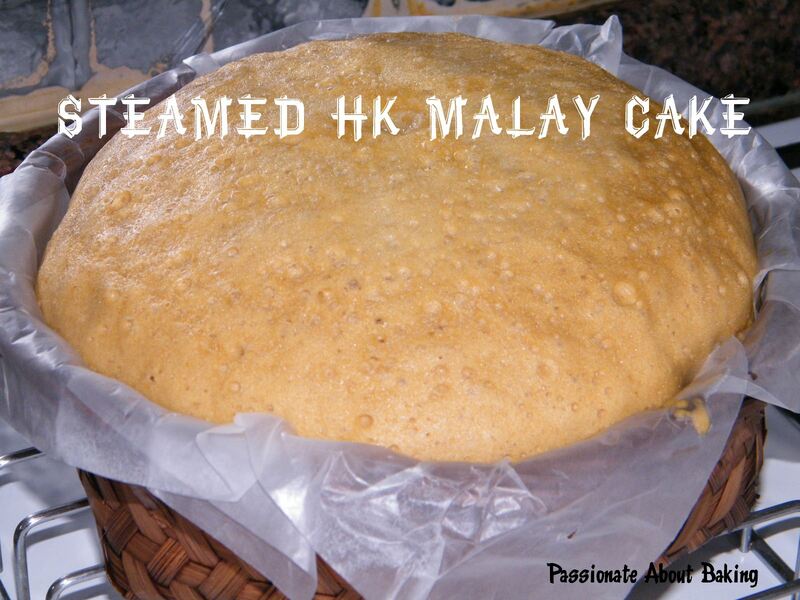 Most of us preferred the kueh when it's pan-fried hot. The sweetness was just perfect. Then we proceeded to make the sauce for our Char Siew Sow, followed by making of the dough for both the Char Siew Sow and Egg Tart. The dough is a mixture of the Oil dough and Water dough. 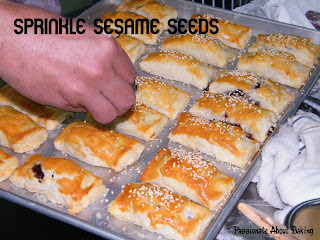 Specific steps had to be followed in order to obtain a good dough that will layered upon baking. A lot of time were used for freezing and chilling the dough in order to achieve the right texture. 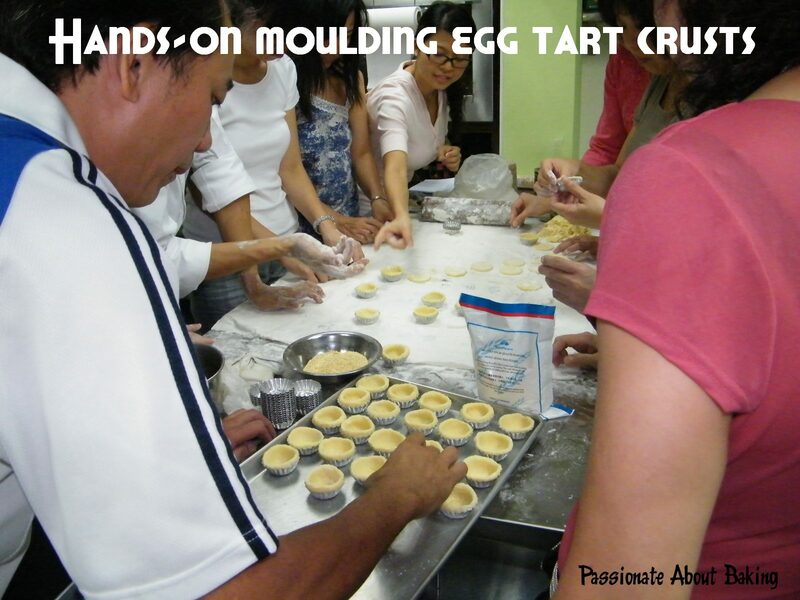 While we were waiting for the dough, Chef Soon made the egg mixture for the egg tarts. He also demonstrated to us on how to mould the dough in order to create depth for the egg mixture. Then we had hands-on to mould the dough. It didn't come naturally for me to do the moulding. It had to be corrected by chef as it wasn't deep enough. After that, it was placed in the oven to bake. We were given one tart each to try. The crust was very flaky, egg mixture was very soft and not sweet, the total taste was truly delicious! Finally, he completed the Char Siew Sow. The Char Siew Sow required twice egg wash, and a final brush of golden syrup to give it a shine after baking, and sprinkled with some toasted sesame seeds. 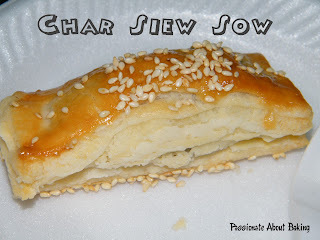 We tried the Char Siew Sow. 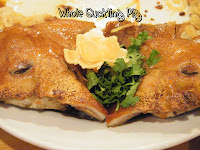 The crust was flaky, coupled with the very moist sauce with Char Siew was truly perfect! Chef Soon said, once we tried these tim sum from him, and learnt the steps on how to make them, we wouldn't want to buy them from outside anymore. I can't agree more! If I can achieve at least 70% of what was taught, I think it's really good enough! 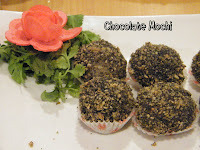 The Water Chestnut Kueh was the easiest among the three items. 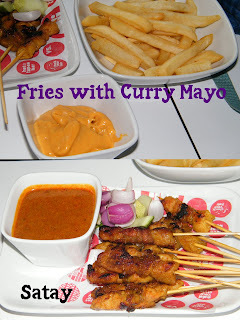 The other two involved a lot of preparation and work, which I am still wondering if I will ever try it! Everyone of us brought home two pieces of each item taught in class. It was a good learning experience! I've come to appreciate tim sum more, after understanding the amount of work that goes into the preparation! Some weeks back, my dear friend Doris recommended me to try a Radish Cake recipe. I've been wanting to make some radish cake, gotten ready with all the ingredients, including rice flour. 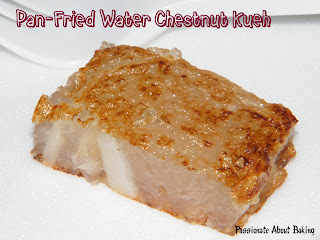 Then, I totally forgotten about the radish cake when I was planning for my workshops. Last week, when I went groccery shopping at the market, I saw this huge yam. I couldn't resist, and bought one, in anticipation that I will be making yam cake. Finally, after keeping the yam for one week, I decided to make it yesterday, not wanting to let the yam go to waste. I prepared a lot more ingredients than required. 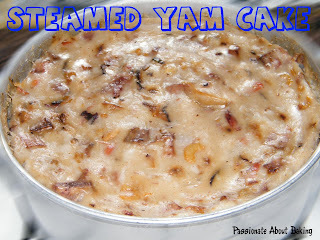 I used the steamed yam cake recipe from Jo's Deli. Somehow I didn't read the instructions carefully. Instead of switching off the heat after boiling the water, I added the batter mixture directly into the boiling water. Gosh! The batter mixture cooked and turned lumpy! I was panicked. Undecided whether to discard the whole the mixture or to salvage it. I tried to add slightly more water to the batter...mixed them and see if it would turn smooth. Alas! It didn't! I added more water again, and tried my luck. Still it was lumpy! Alamak! Then, desperately trying the last method by using a handheld blender to blend the batter. Whoosh! After a few rounds, the mixture was as smooth as Hazeline Snow! *Phew* I sigh with relief! That ain't going to waste. Pleased with myself, I added in the remaining ingredients and proceeded as instructed. 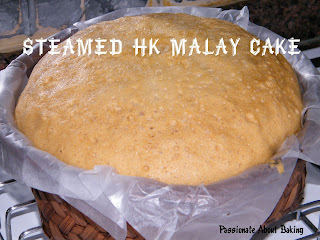 I replaced the tung min flour with tapioca flour since I didn't have tung min flour. I also added more water than desired. 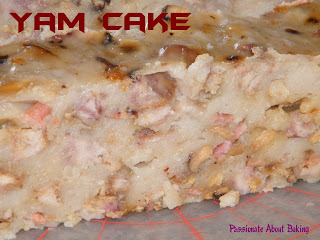 My colleagues tried it today and they commented that the yam cake tasted really good! 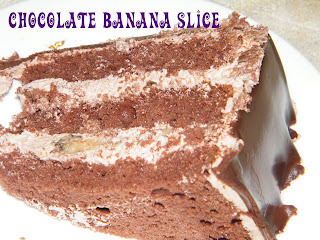 There were a lot of ingredients in the cake and was very flavourful! It was a case of kitchen-mishap-turned-lucky! 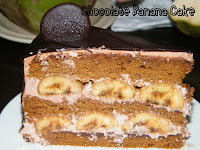 I was glad I tried to salvage the batter, if not, I would probably have given up on making the yam cake! 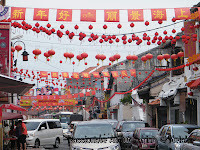 After our recent trip to Melaka, we decided once again to drive in for a day of eating and shopping. It was arranged on the Saturday before the school term starts again. 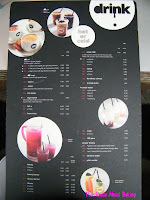 What triggered our outing was to visit the new Alicafe at Johor Bahru (JB). After getting enough information on the location, we drove in in two cars, with a total of 14 passengers. 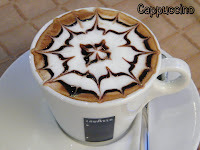 Since we planned to have our lunch in Alicafe, we drove in in the late morning. The morning showers didn't deter us from our original plan. We proceeded as planned. We went to pick up my sister, then set out to meet the other car, where my parents and the rest of my sisters were. We travelled to JB through the Tuas Second Link. 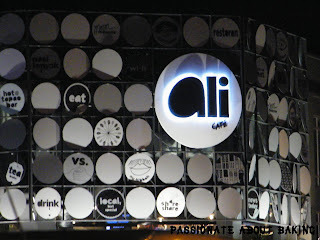 It took us less than one hour to reach Alicafe. 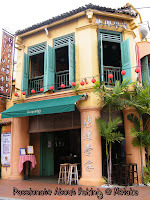 The cafe is housed in a 2-storey shophouse. The decoration is set in black & white. From outside, it looks very retro. 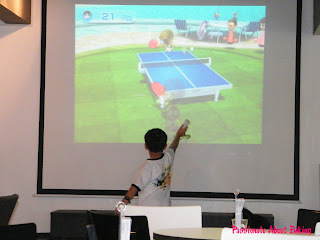 Upstairs, there was a cosy corner with WII set-up for the customers to play and enjoy. There were also four iMacs for customers to use. As it was still early when were there, we had the whole section to ourselves. The children jumped at the chance to play WII, while my eldest boy can't wait to login to Facebook and played his favourite games! The adults also took their turns on the iMac. 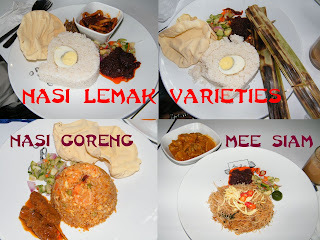 There were a wide range of food varieties to fill our tummy. 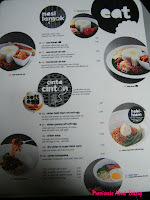 We ordered individual portion and also some side dishes to share. The portion that arrived was HUGE! We couldn't really finished all the food! 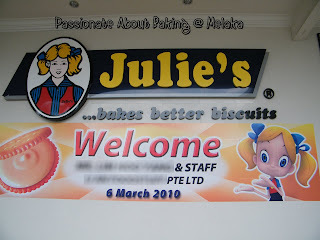 After hanging around for quite sometime and with the lunch crowd coming in, we decided to leave the place and proceed to the Tesco Bukit Indah centre, which was just opposite the cafe. We spent a couple of hours doing groccery shopping at Tesco. We found the prices in Tesco to be rather reasonable, and the range they stock were really wide! By the time we finished our shopping, it was already 4 plus. 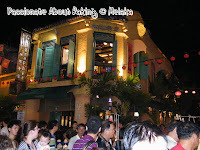 Then we decided to go to Sutera Mall, which house a Carrefour Hypermarket and some other shops. 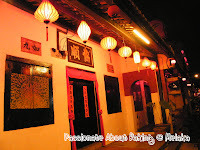 The main objective of going to Sutera Mall, was to the Restoran Pekin, which will be the venue for our dinner. 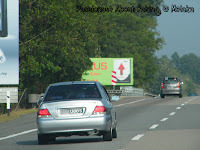 It was about 10mins drive from Tesco Bukit Indah. The Sutera Mall has a lot more shops to offer compared to Tesco Bukit Indah. However, we didn't really shop much. We ended up having foot, shoulder, hand and back massage at one of the Health centre in the basement carpark! Hahaha... The adults truly know how to pamper ourselves! The kids were temporary "stored" away in the television lounge, watching some cartoon shows. 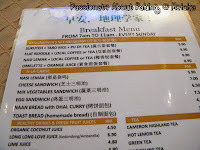 After the massage, we went to Carrefour to buy some buns for breakfast for the following day. 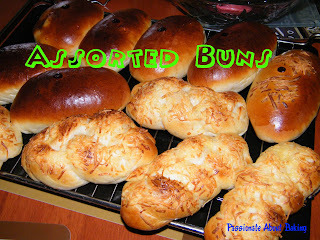 Can't believe the mexican buns were selling at RM0.99 each! What a catch! 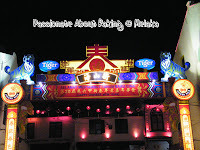 We headed to Restoran Pekin for our dinner at 7pm. We were busy feeding the kids that I didn't have the chance to take photos of the food! It's a nice chinese seafood restaurant with alfresco dining. After our dinner, we celebrated my youngest sister's birthday. 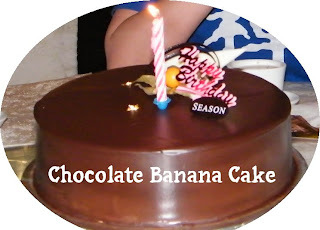 We bought a 10" chocolate banana cake from Seasons (known as Swensens in Singapore) for her. 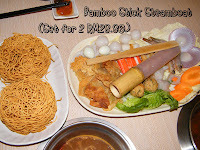 With it's promotional offer, it cost only RM42.00! After the mini celebration, it was time to head home. We didn't have problem finding our way back to the highway. By the time we reached Singapore, it was close to 10pm. I'm glad the adults and the kids alike enjoyed themselves on this day trip. 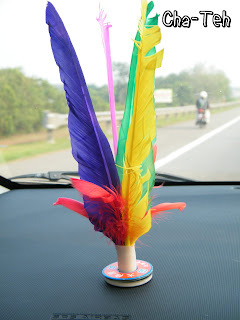 We're already planning for another trip out to Bukit Indah again! See you soon! If you would like to visit any of this places, you can drop me an email. I should be able to provide the directions. They are lesser known shopping areas, which are less crowded, and safer! I realised that I haven't been baking a lot lately. 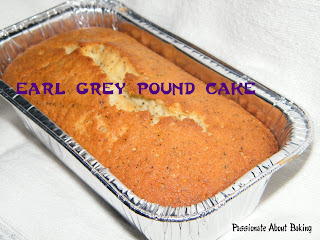 Many of my lesser-used ingredients are near to expiry and those commonly-used had ran out! Last Friday, I went to the market near my office during lunchtime to buy some char siew pork. 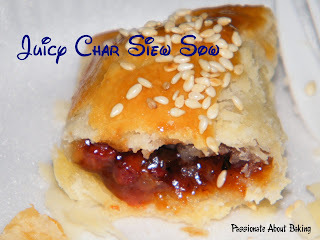 Initially, I thought of making paus with the char siew since I saw Honey Bee Sweets' chicken pau and Gina's char siew paus. They were so yummy! 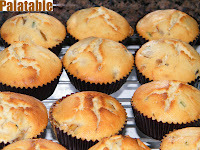 Unfortunately, I don't keep stock of HK flour at home, therefore, I decided to bake char siew buns instead. As I don't have enough char siew fillings, I baked the rest of the dough with grated cheddar cheese and sugar. They're equally good too! The bread recipe is extracted from Alex Goh's book while the char siew fillings recipe is modified from Gina's recipe. 1.Mix instant yeast and water and set aside for 10mins. 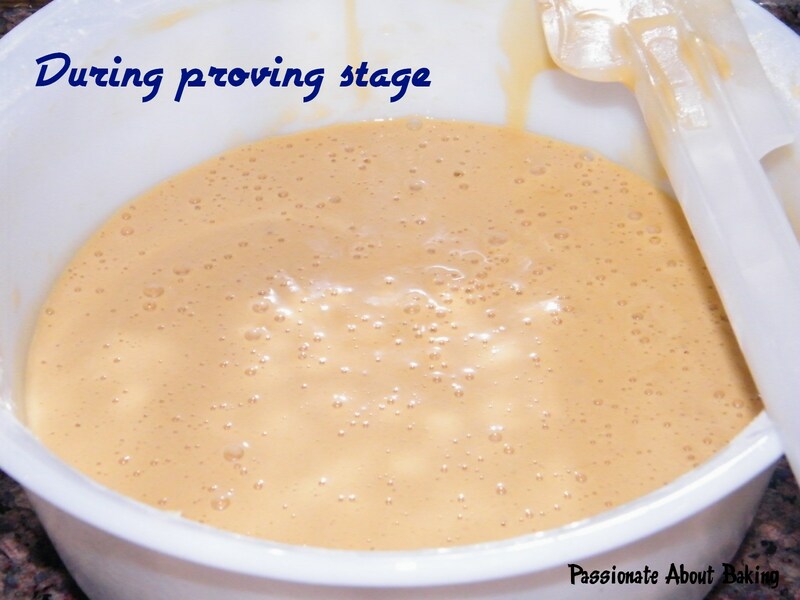 2.Add the remaining ingredients and knead to form a dough. 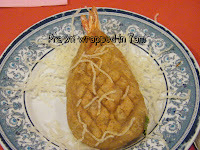 3.Cover the dough with cling wrap and let it prove for 2 ½ hours. (I left mine in the fridge overnight). 1.Add sugar, salt, egg to the sponge dough. 3.Then add flour, instant yeast, milk powder and water. 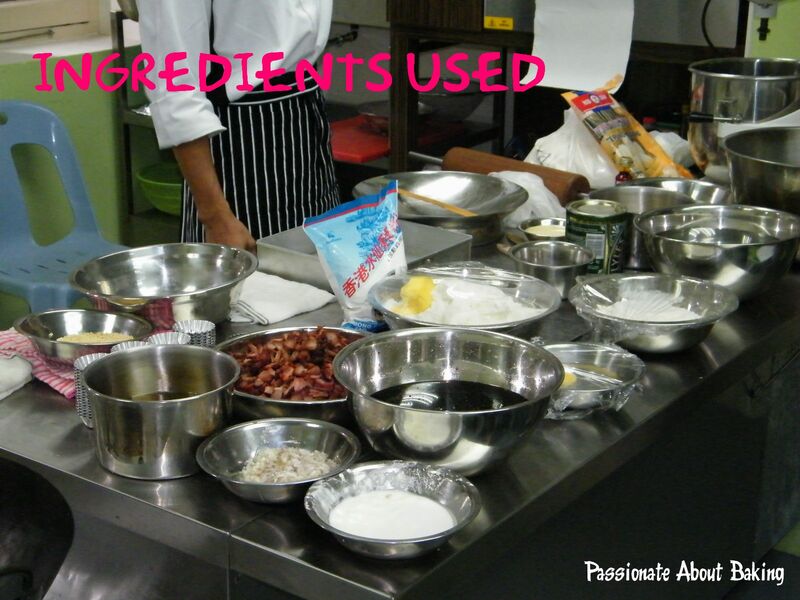 4.Mix all ingredients till well blended. Knead to form a dough. 5.Add the butter and knead to form a smooth and elastic dough. 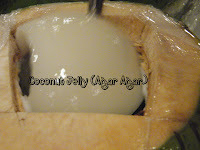 6.Mould into a round and cover it with cling wrap. 7.Let it prove for 15mins. 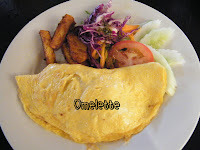 8.Divide equally into 12 portions. Shape it into balls and allow to rest for 10mins. 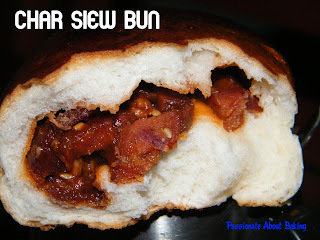 9.Roll out the rounded dough and wrap with char siew fillings. 10.Leave them on a tray and let it rest for another 45 mins. 11.Glaze the buns with some beaten egg and bake at 190C for about 12 mins. 12.Leave it to cool completely before consuming. 2.Heat the pan and add cooking oil. 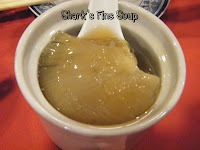 7.Turn off heat, remove to cool completely before using. A week ago, while my extended family were having coffee & drinks at Old Town Cafe in East Coast Park, my dad asked if we want to go Melaka the following week. We asked for the occasion and he said his supplier invited him to officiate the factory's cafe. We jumped at the idea, and asked if accomodation will be provided. He said it would be. Immediately, I shouted “I want three rooms! !” My third sister continued, “I need two.” Followed by my youngest sister, “One for me will do.” And so, the trip was considered confirmed. The following day, my hubby asked me to check the expiry of the passports of my children. I checked and let out “ ARRRGGGGH! They are less than six months before expiry!” Without hesitation, I quickly took out the camera, took many shots, did some cropping and resizing, then immediately went to renew their passports online quickly. The next two days, I was very anxious that the passports might not be ready in time. I called them to enquire about the status of their application on Wednesdasy and they told me it will be ready for collection on Friday! What a close shave! Had I applied a day later, I will miss this wonderful outing with my family!! Finally, Saturday came. We set out early, met my sisters and parents and set off. 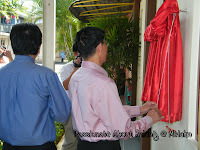 My dad's staff were also invited to the ceremony. 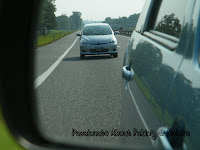 For my extended family alone, there were 10 adults and five children travelling in three cars. My dad's staff travelled in another two cars. We took a break in Machap, then drove all the way to Ayer Keroh to meet a friend who brought us directly to the factory. When we reached the factory, the owner (we shall call him Mr. Su), his spouse and his staff were there to greet us. They have also engaged lion-dance to welcome us. We felt like VIPs. We were then lead to a conference for a short presentation ceremony for my dad and his staff, followed by the official opening of the cafe. The occasion was very grand! 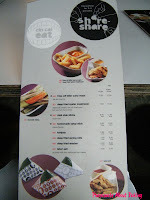 After the opening ceremony, we had our lunch from the buffet spread in the cafe. It was almost like a business lunch, I should say. After lunch, they ordered durians for us straight from the plantation. Yum yum! After our durian treats, we proceed to get “dressed” for a factory tour. The children were excited, and so were we. The had to wear hair cover, mask, over coat and shoe protector in order to enter into the factory. It was a hygiene requirement imposed for all staff and visitors. We toured the premise starting from how raw materials were mixed, to the baking of the biscuits and finally to the packing and cartoning. Then we were lead to a conference room where they did a company brief for us. After that, we hang around in the cafe while waiting for the rest of the sales staff to finish their sales meeting. We went to take pictures around the (external) factory premise. The children were getting restless, running around in the compound. Finally, the sales meeting ended, and we left the place in the late afternoon. 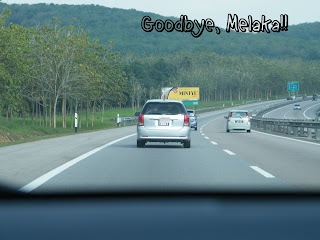 My dad's staff went back to Singapore while all of us (his precious daughters and family) stayed in Melaka. We were lead to our accomodation, which were managed by the same owner of the factory. It's called One Residence in Padang Temu. We were given two big units. 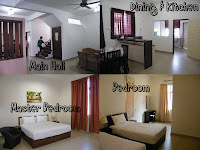 Each unit has four big rooms. It was just right for us as we needed eight rooms! It was very spacious, bright and clean. In the early evening, Mr Su and family came over to our place and help to direct us to the place for our dinner. 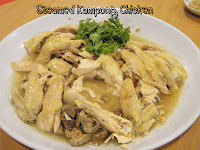 It was at Restoran Keng Dom. 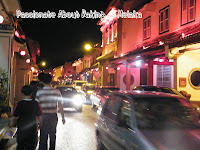 And opposite the restaurant is Restoran Ole Sayang, which I had very fond memories of! 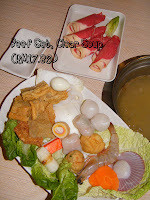 The food at Keng Dom was simply awesome! 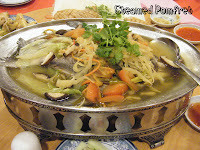 Each and every dish was very fresh, portion was big enough for us, and the quality of the food was truly good! 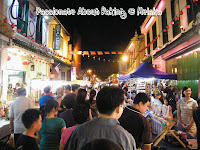 After dinner, I told them we wanted to go Jonker Street for a walk. We had insisted that we will go ourselves as it was nearly 10pm. However, a few of them insisted to bring us there, making us feel like we're bothersome. Eventually, we agreed. It was rather difficult to find parking along the roads as they were very narrow. They managed to direct us to a paid parking area and paid for us. As I was concentrating on holding on to my girl, I didn't have another hand to bring out my camera to take pictures. It was very crowded on a Saturday night. From the way I see it, seemed like mostly are locals, not tourists. We didn't really buy anything from there. Then, it was time to leave as it was getting late, and we were dead tired from the day's event! Again, they lead us back to our residences. By the time we retired, it was already past mid-night. 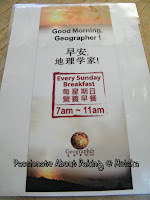 The following day, they came to meet us again and brought us to the Geographer Cafe in Jonker Walk. The foods are very interesting. 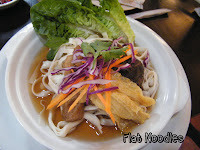 For example, instead of the Bak Ku Teh, they have Sukuteh which is like vegetarian. It's very much like a cafe for the health conscious people. 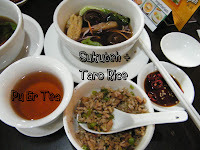 The taro rice was actually brown rice. 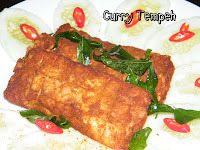 The food is truly yummy without compromising the taste! 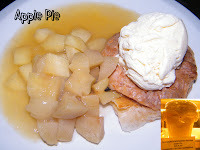 We ordered curry tempeh, chocolate banana cake and apple pie to share after our main course of breakfast! 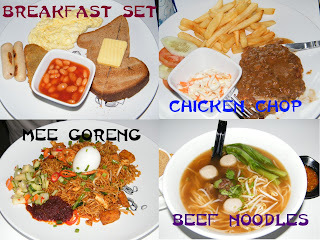 After a hearty breakfast, we were lead to the newly opened shopping centre- AEON Bandaraya Melaka Shopping Centre at No.2 Jalan Legenda, Taman 1 - Legenda. We ventured separately when we were there. My dad's friends left us finally. We felt so bad to have imposed on them for two days. They were really kind to have brought us all over the place, and accompanied us all the way. After our sumptuous lunch, it was time to go. We pumped up our petrol before we hit the NS highway back to Singapore. 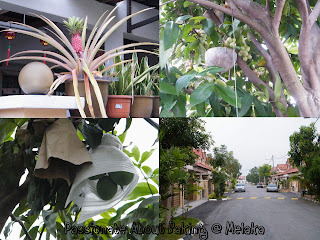 On the way, we stopped at one of the rest area to buy "tao sa pian" and fruits. Then it was all the way to Tuas Checkpoint. By the time we reached Singapore, it was already 7pm. 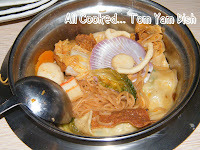 We took our dinner at Yuhua market before going home separately.